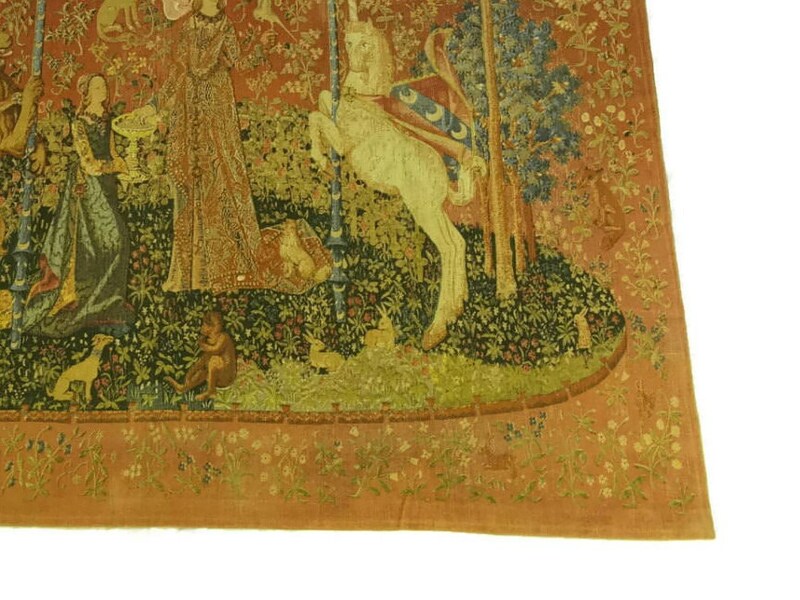 A magnificent vintage French Lady and the Unicorn Tapestry dating from the 1970s. 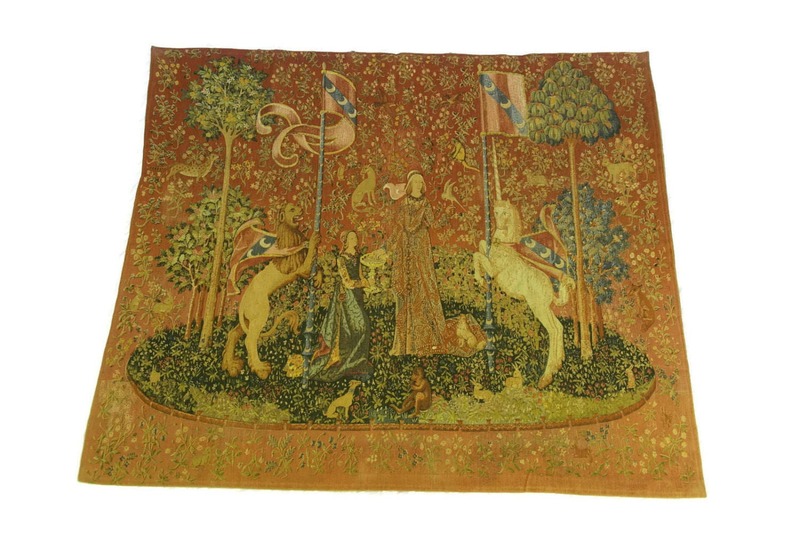 The printed canvas wall hanging is a reproduction of one of the tapestries from the famous Lady and the Unicorn series of 6 tapestries. 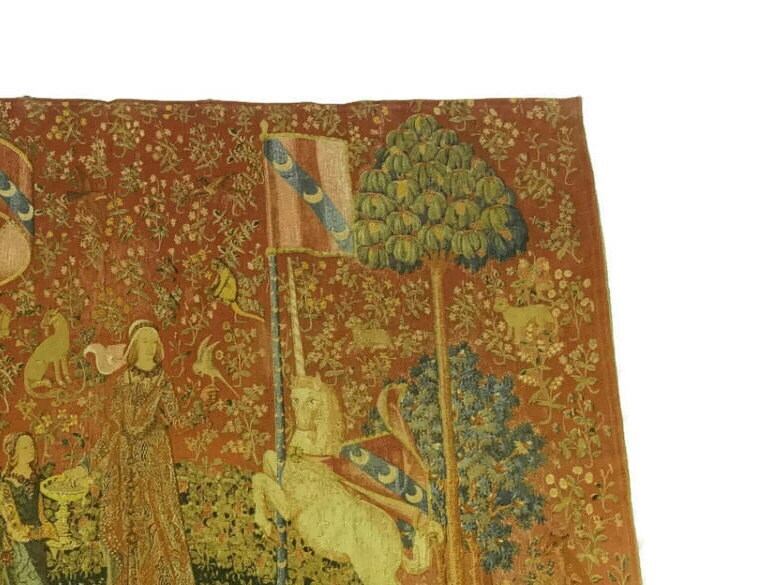 The piece has been hand printed on French canvas and features a expansive range of colors and tones. 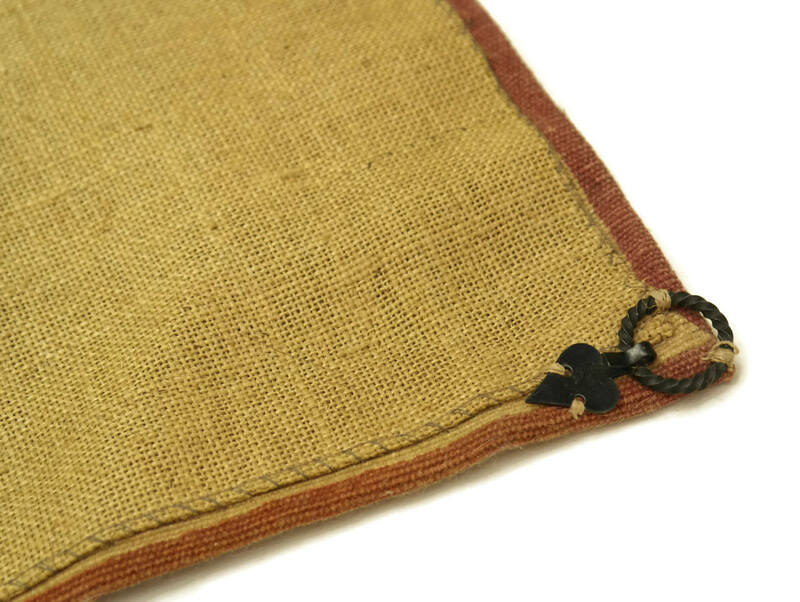 The reverse has been lined in toile de jute and has 6 metal hanging rings. 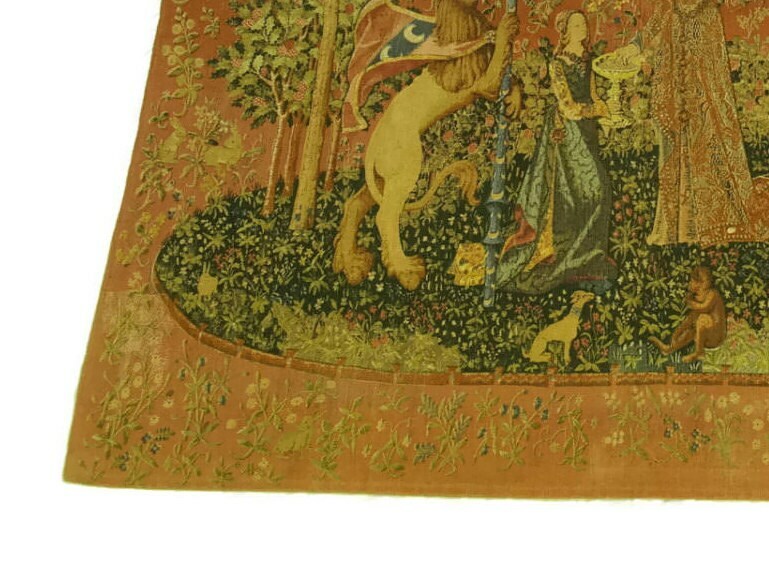 The original Lady and the Unicorn series of tapestries date to the 15th Century and depict an aristocratic lady in different settings. Each one portraying one of the senses. 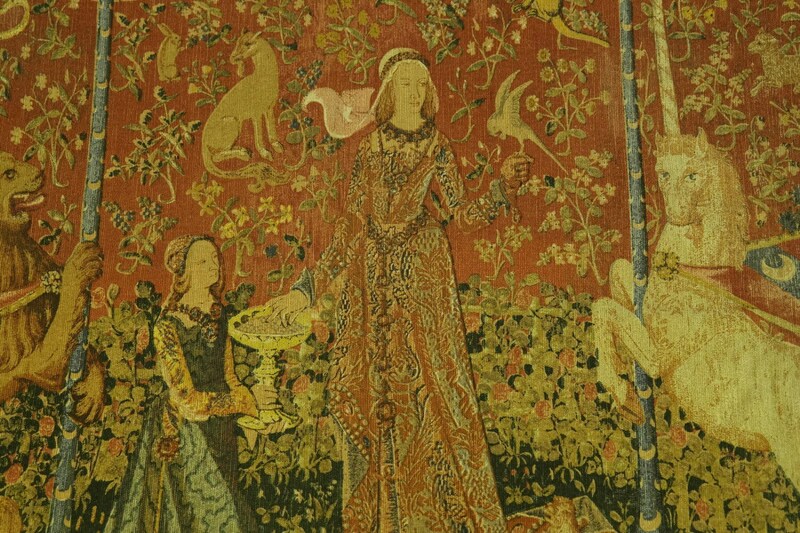 This reproduction portrays the tapestry entitled "Taste". 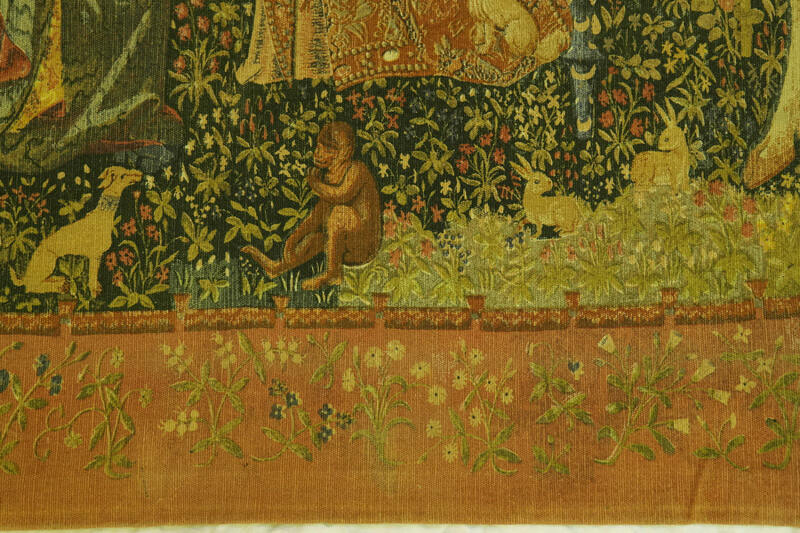 Here the lady is taking sweets from a dish held by a maidservant. 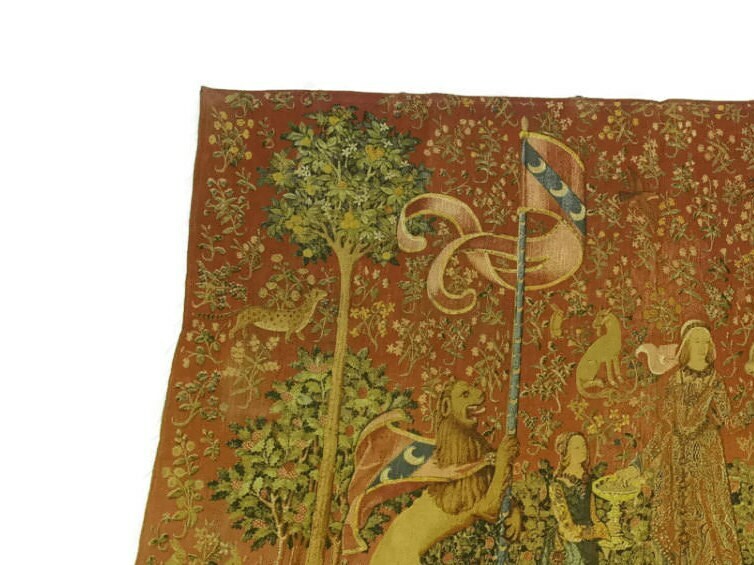 She is protected by a lion and a unicorn and around them are found an array of animals and birds including a monkey at her feet who is also tasting one of the sweetmeats. 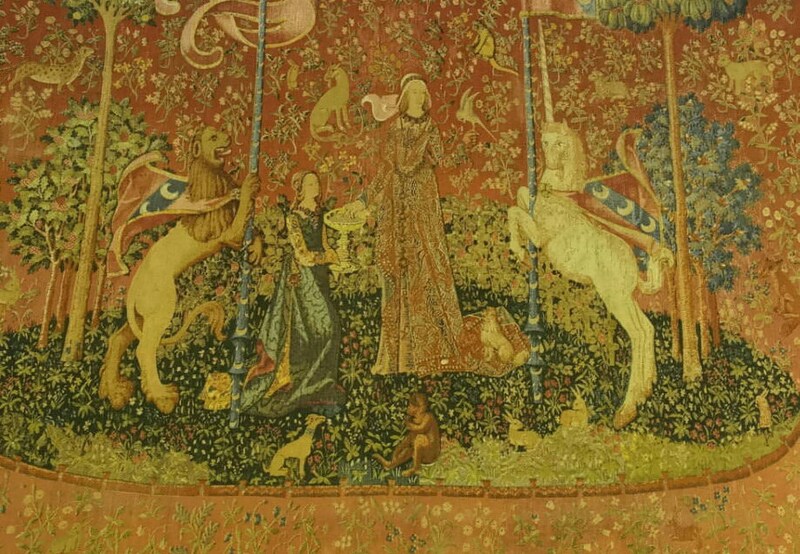 (164 cm x 135 cm). 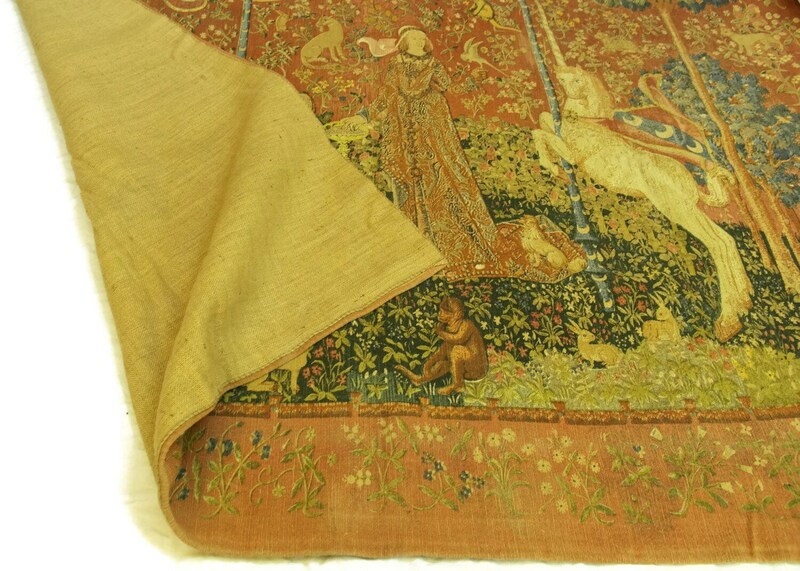 The printed tapestry is in very good condition with light wear including small areas of fading to the colors and marks to the lining on the reverse side. There are no holes or tears to the canvas.